Hello everyone! It's Ria here today. I'm sharing a fun card using the Special Edition Stamps -Garden Fairy by the uber talented Clare Brown. I was able to use most of the elements in the set and glad to see how it works well to create a happy and bright card. 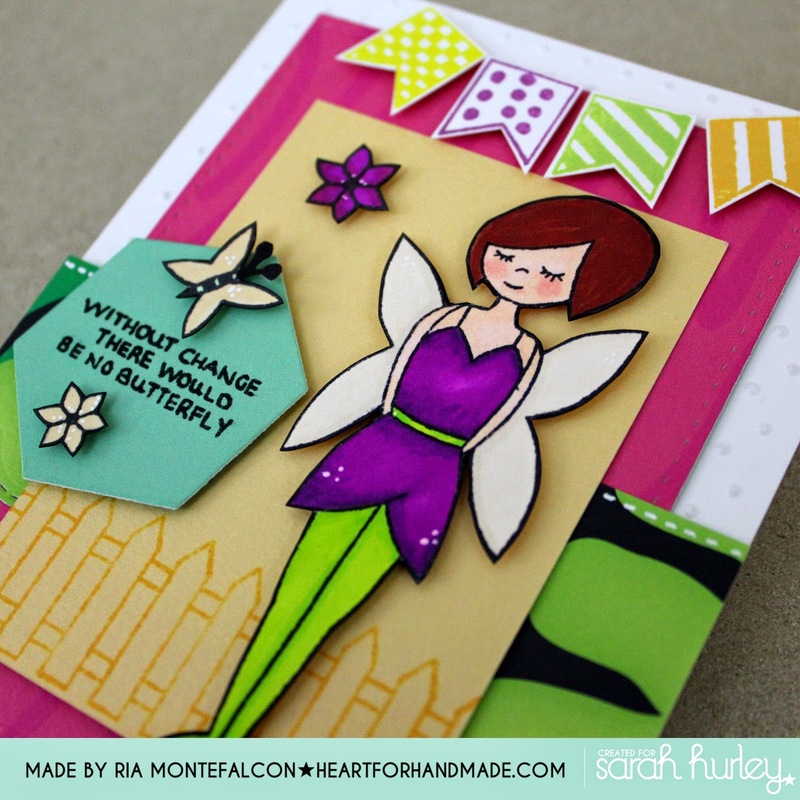 For the main image, I stamped the cute fairy in white cardstock and colored it with promarker. After coloring, I added a Wink of Stella Clear glitter pen to give some shine without overdoing it. I stamped the banners in different inks and fussy cut them. I added them on top of the card panel for some additional dimension and texture too, don't you love the different patterns of these banners? I think the stamp set will be great also for a fairy theme birthday invitation, an accent for a tag or as the stamp of choice for girl's scrapbook page. That's it for today and we'll catch up again soon!